Hello, my name is Charlie Tucker, owner and operator of Tucker Transmissions since 1990, where we pride ourselves on providing the finest automatic transmission service and repair. I understand that you are not seeking a transmission repair by choice, but rather by necessity, and you would like to have your questions answered clearly and honestly. Weighing the crucial factors, I believe you will find Tucker Transmissions an excellent choice. Our service center in Madisonville, Louisiana employs expert technicians, offers competitive prices and a strong 2 year written guarantee. 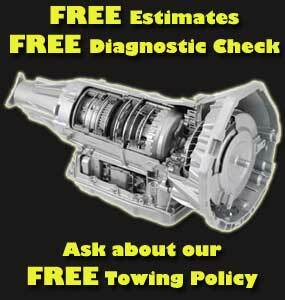 We can provide you with a free computerized diagnosis of your transmission problem. Up front transmission repair prices are given for all repairs before the work is approved. Whether you live in Madisonville, or anywhere in St. Tammany or Tangipahoa, we are the best choice for outstanding service and a great warranty. We hope that we can assist you in your time of need to get your vehicle back up and running so you can relax and enjoy the ride!